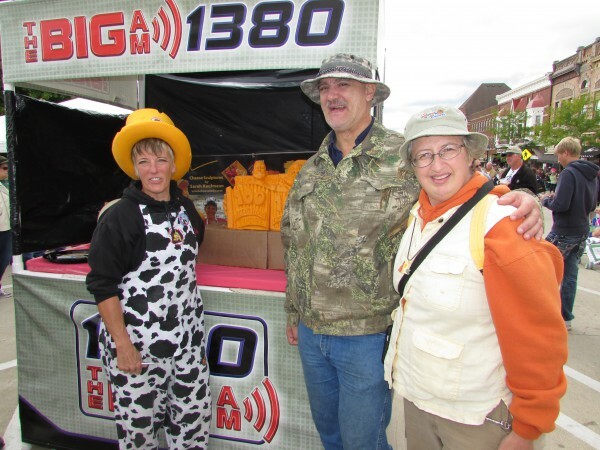 Cheese Days is THE festival we have eagerly awaited all summer. 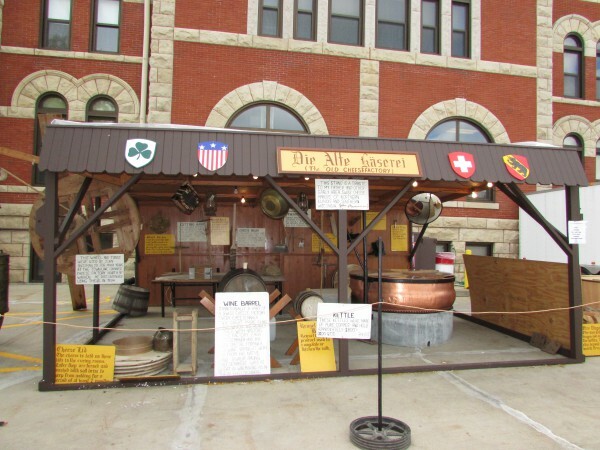 Green County celebrates it’s Swiss and cheesemaking heritage at this festival. It is so big and takes so much planning, it only occurs biennially. This year celebrates the 100th anniversary and was it BIG! Enjoy this slideshow I created with the official Cheese Days song, sung by Rudy Burkhaltar and Martha Bernet in 1967. It is held downtown with the beautiful courthouse as a backdrop. The whole square is filled with booths and tents with concessions, food, beer and entertainment. 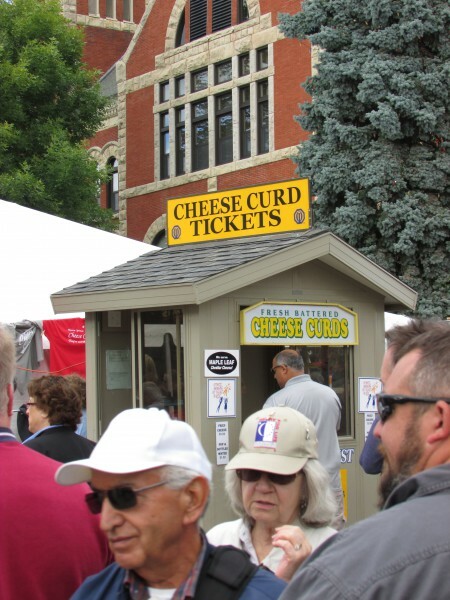 There is such demand for cheese curds, you have to get tickets before getting in line for the curds. We didn’t, it was almost parade time and there was so much to see before it started at 12:30. 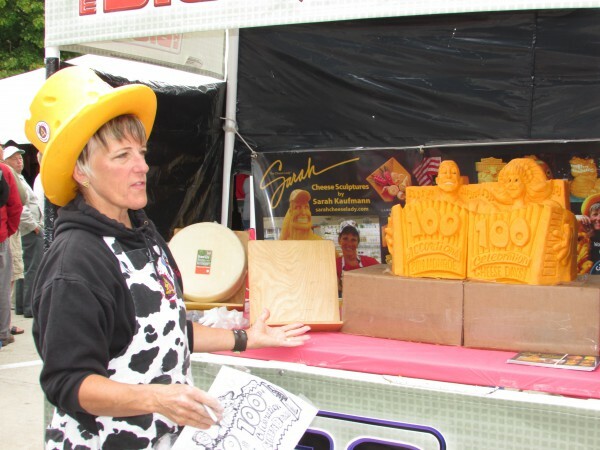 Famous cheese sculptor Sarah Kaufmann was also there, carving a piece of cheese right there. We were so lucky to meet her, even had a picture with her 🙂 She was sponsored by the radio station The Big AM 1380- WEKZ. We also enjoyed some great polka music by the Goodtime Dutchmen, let’s listen in! 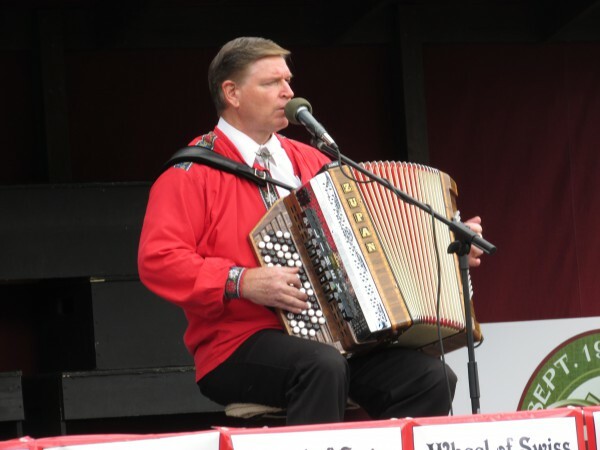 Also some accordion and singing by Master Yodeler Kerry Christensen. 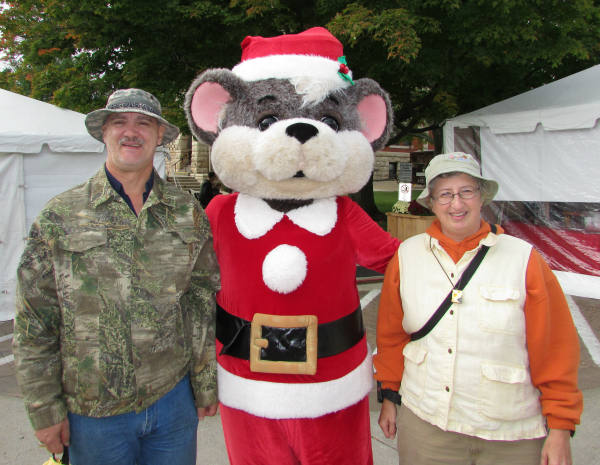 Another picture with a character, the mouse from Colony Brands Swiss Colony. They have an outlet in Madison too. On Saturday (we were in Cambridge for their fall festival) they made a wheel of Swiss Cheese right at the festival at this booth. 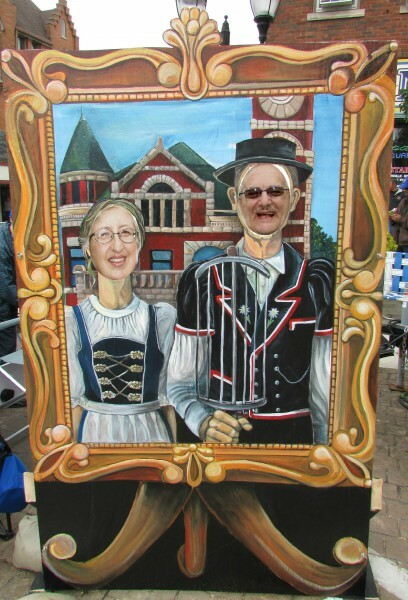 They also had a knock-off of the American Gothic cut-out you could get your picture with, funny! It was 12:15 and we had to find a spot for the parade QUICK. 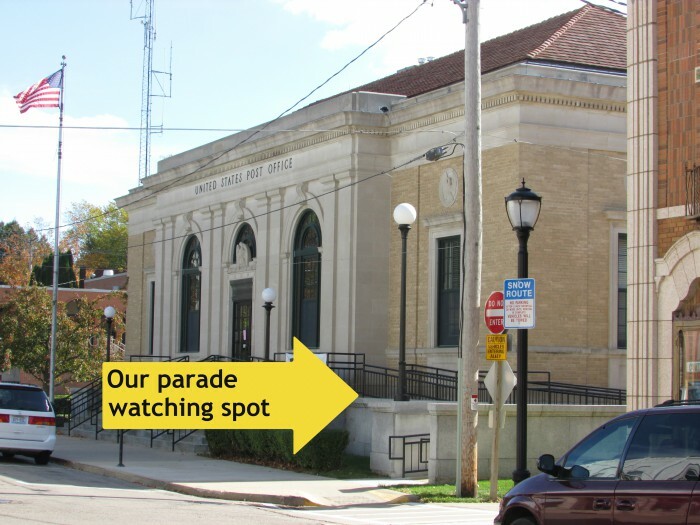 We found a good one at the last-minute, up high above the crowd at the post office, just off the square and on the parade route. It was a great vantage point we will have to remember next time in 2016. Read next article about the parade.